There’s a new luxury boutique hotel in town and it’s waiting for you. No, really. Or even better, (and this happens to me quite a lot), do you often dream or think about what it’s like to have a hotel that has all your favourite elements in it? Note: I love how they came up with the name too. Amber is a translucent fossilized resin. And just as each piece of amber is entirely unique, no two boutique hotels are the same either. Each has its own identity, its own personality that makes it beautiful and truly unique. A lair is a secret retreat that has a cozy and relaxing atmosphere, which is what Amberlair is looking to create with their boutique hotel brand. 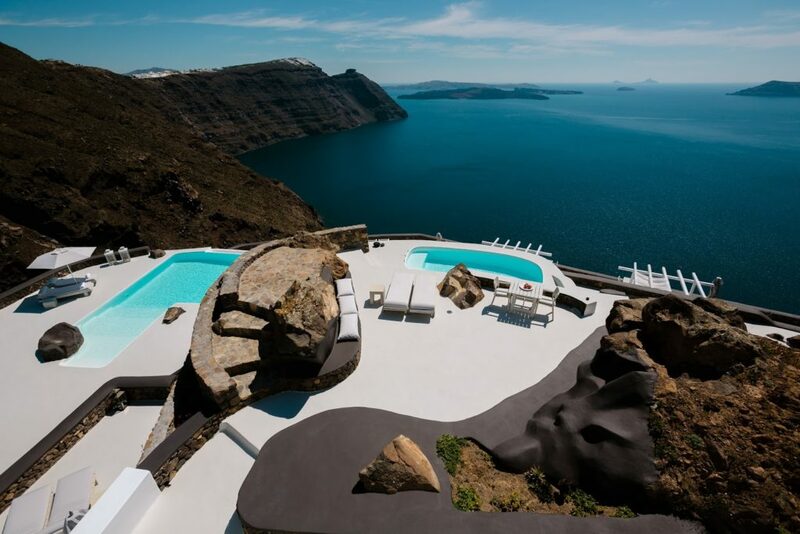 Amberlair is a unique concept: a boutique hotel created with the help of the global travel community. It reaches out to people who share Amberlair’s passion for small, characterful hotels in inspiring locations. 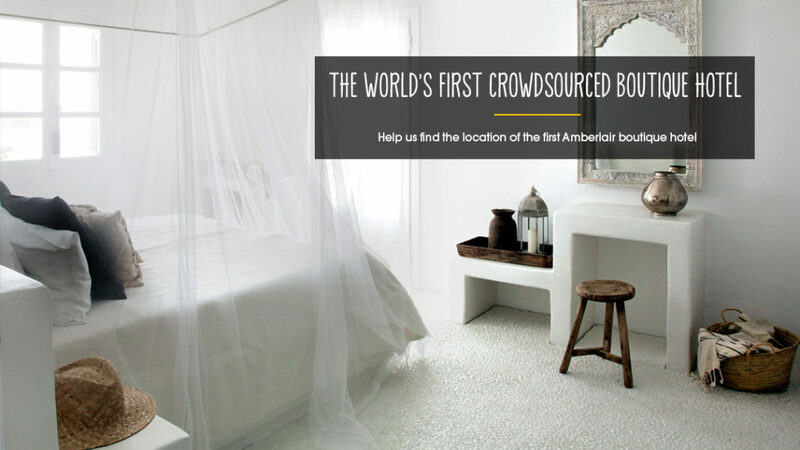 Using the online input of crowdsourcing and crowdfunding, Amberlair will develop the first in a group of extraordinary places to stay around the world. If you’ve ever experienced travelling (or even driving around your neighbourhood) and you see a heritage house or a patch of land somewhere and thought, “Now that would make a great hotel.” ? Amberlair would love to hear your location suggestions. Amberlair was founded by Hamburg-based Kristin Lindenberg and Marcus Orbé, whose backgrounds are in, respectively, the travel and events sector and the airline industry. After years of being put up in cookie-cutter, could-be-anywhere clone hotels, they set off on a tour of more than 40 countries on six continents, researching boutique hotels, getting the inside track on what works and what doesn’t and making contacts with the world’s best boutique hotel professionals. They also met many fellow guests with a passion for quality and authenticity. And it was that global travel community that inspired them to use the online input of crowdsourcing and crowdfunding to create Amberlair. If you know the perfect place for Amberlair to put down its roots, go to amberlair.com and submit your suggestion. Amberlair is seeking a location with character and allure. Have you spotted a building with history for sale or a suitable piece of land available for development? The more details you can provide – plans, photos, owner’s contact details etc – the better. The person who submits the location that will eventually be chosen will win. When all suggestions are received, Amberlair will choose a shortlist of the most suitable locations and put the location to an online vote. Whichever location receives the most votes will be the site for the first Amberlair boutique hotel – as simple as that. The community member who proposed it will win a fantastic prize: a week’s stay for two at Amberlair*, plus a VIP invitation to the opening party. Once the first Amberlair location is decided, a crowdfunding campaign will be opened, inviting the sort of people who share the love and passion for personalised, eclectic places to stay to invest in Amberlair. Benefits for crowdfunding contributors will include free stays at Amberlair and benefits while staying at the boutique hotel. Later, Amberlair will also be crowdsourcing the details of the boutique hotel –seeking designers with original ideas, local suppliers of artisan produce etc. It’s all so very exciting. Obviously, the next phase after the location of the hotel is chosen, will be choosing (and voting) for the smaller, finer details down to the decor, food and beverage suppliers – every little thing will have an input from you. I think this is a really bold (and bold is good!) idea that will shake the way hotels are developed. 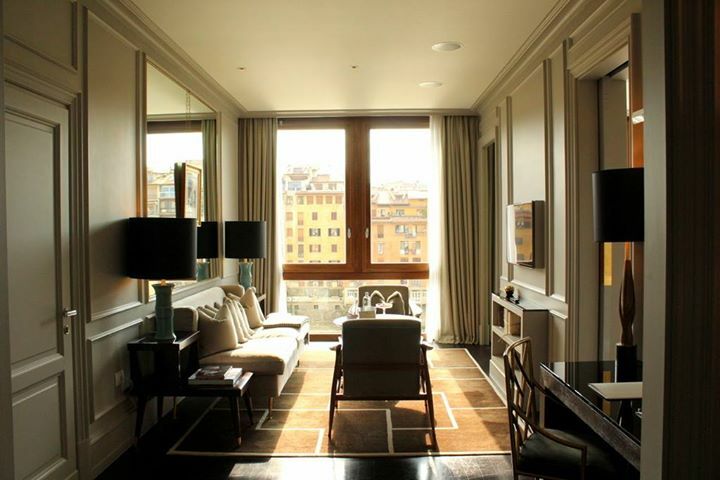 Sure there are plenty of absolutely amazing boutique hotels around the world. And what makes boutique hotels popular are the bespoke experiences guests receive that you just cannot get in large hotel chains. 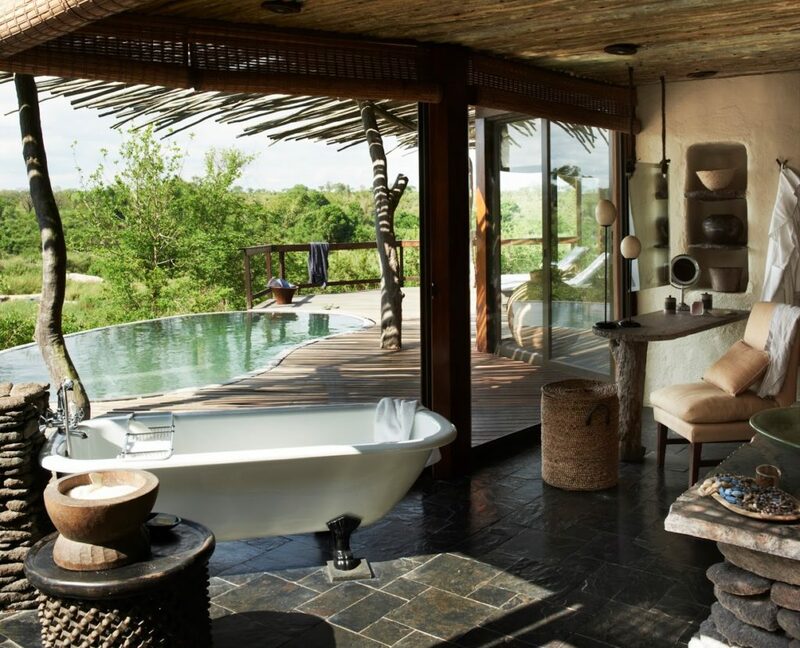 But some boutique hotels are created still with the investors’ (owners) interests and tastes at heart, hence many stays are still a hit or miss experience. The new Amberlair hotel will be shaped by folks like us: normal people who travel, who know what we like and don’t like in hotels whenever we travel so collectively, all our inputs will will be realised in this hotel. I also love how the competition and involvement is world-wide. It doesn’t matter where in the world you live, you get to have a say in this project. And your involvement can be varied too. You can go all the way to crowdfunding till the hotel is finished, or enter the competition and be a factor in deciding where in the world the hotel will be, or you can simply watch this exciting project come to life. To learn more about Amberlair, visit their website. If you are to own your hotel, what’s one thing (or two) you will ensure it has? What do you think about the Amberlair concept? Amberlair: The Best Boutique Luxury Hotel YOU Can Think Of Luxury Travel Hacks for the Smart Traveller Mixing Luxury and Adventure Travel in Australia What’s On my Travel Bucket List: A Luxury Cruise Around Tahiti with Oceania Cruises The Hyatt Paris Madeleine: a Luxury Boutique Hotel in Paris How Much Does it Cost to Travel Around the World in a Private Luxury Plane? My hotel would absolutely have to have the best quality bedding known to mankind, you know the kind? It feels like you are sleeping in a cloud. 🙂 Also free wifi. And a pod coffee machine. And…. Loving the Amberlair concept. Haha yes, I do know the kind. The kind that makes you not want to get out of bed anymore! Yes, free wifi. Sadly some hotels (boutique or luxury) still don’t offer this essential feature. I’m always appalled when they charge for Wifi. Yes such an exciting concept. Even to just watch and see where the new hotel will be! It’s such an interesting initiative, putting customers at the heart of the hotel experience. Looking forward to seeing how it develops! Hi Suze, same here I really love the original concept and it’s not just any kind of crowdfunding wherein people contribute financially, this one takes in consideration what the people want and vote for – and you don’t even need to have funded it! I am working out a list in my head on ones that can be added.